156. The Awkward But Evolving Relationship Between Technology & Skin Tone – How to Shape Human Behavior. Color cards are necessary because color film consists of different layers of film which capture different colors stacked on top of each other. Additionally, there are several different types of chemical solutions used in the film development process. All of this comprises the film’s color balance. This positive bias towards lighter skin tones meant that darker, non-caucasian skin tones, once developed through the film development process, woud be underrepresented in the final photo. 00:02:00 In the 1990s a camera system was developed where dark and light color tones were balanced individually, effectivly solving this color tone problem. As the technology advanced and became more widely adopted, Shirley cards were updated and expanded to include other ethnic skin tones. 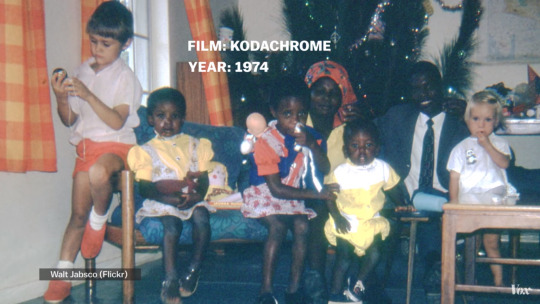 In 1995, 50 years later, Kodak designed a multiracial norm reference card which depicted Caucasian, Asian, and African skin tones contrasted against bright, vivid colors. 00:03:00 Modern film and color cameras have mostly resolved this color issue, but there are still instances where darker skin tones aren’t recognized by technology, for example with laptop cameras and hand soap dispensers. Every range of skin tone should be considered as the norm; whiteness is no longer the default. Posted on November 11, 2015 January 29, 2017 by Joshua SMITHPosted in videosTagged film photography, hewlett packard, kodak, pc magazine, photography, videos, vox, youtube.